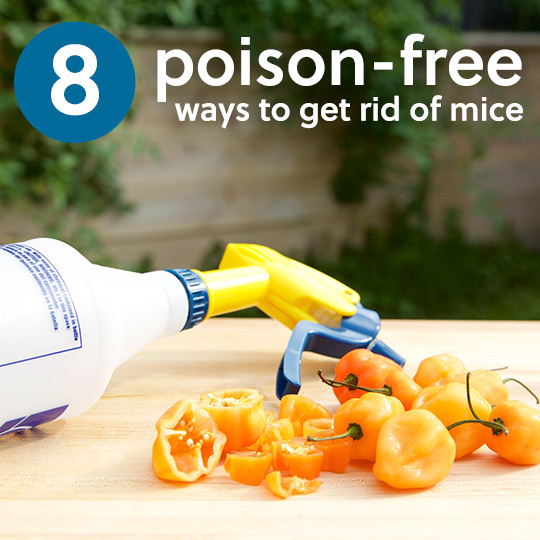 Combine an IPM program with a few of these DIY deterrents and repellents, and you can come up with a successful comprehensive plan to get rid of mice naturally. How Poison Works: Most rodenticides on the market today are anti-coagulants. They essentially inhibit the body’s ability to clot blood, which results in the mouse hemorrhaging and bleeding to death internally. Warfarin, brodifacoum, diefenacoum, and flocoumafen. While all of these are nasty and toxic, flocoumafen is so powerful that it is only legally certified for indoor use. In addition to prohibiting blood clotting, the poisons will make the mice extremely thirsty. They then leave the house in search of water and die. On top of all of this, and the risk you pose to pets and children, there is secondary poisoning to consider. Many poisons are toxic to animals that will eat the mice, such as birds of prey-or your dog or cat. How Traps Work: Fairly self-explanatory, the two main traps on the market are sticky traps and snap traps. Snap traps are triggered when the mouse goes for the bait, and a powerful spring mechanism snaps a wire down, breaking the rodents neck. I have, unfortunately, been witness to several trap malfunctions-one particularly gruesome one involved the mouse pulling back so that its neck didn’t break, but its snout and the front part of its face was crushed and caught in the trap. It was very much alive afterwards. 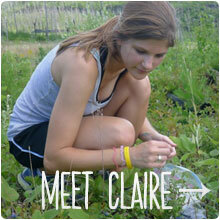 It may sound soft-hearted, but I can’t stand the sight of even a pest struggling and in pain. Sticky traps are about as inhumane as they get. The mouse runs onto it, sticks, and is terrified while its struggles to escape. It will either die slowly of dehydration or starvation. The traps can rip off fur and skin while they struggle, and rodents have attempted to chew through their own limbs to get free. Mice, while nowhere near as impressive as say, dogs, still have a fairly acute sense of smell that beats our own. So while we find the smell of peppermint refreshing, tangy, and pleasant, mice find it overwhelming and offensive. This isn’t the best remedy to deter mice, but it makes a nice compliment to a solid IPM program. Add 20-30 drops of peppermint essential oil to each cotton ball and lay strategically around your home. Refresh every week or so, or whenever you notice the smell is fading. Feel free to experiment with other essential oils/oil blends in addition to peppermint. Go to your local animal shelter and get a furry friend. 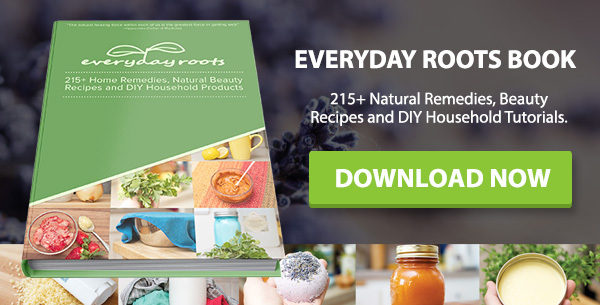 This is a special little concoction that that doesn’t involve manufactured chemicals or toxins-although I would recommend wearing goggles and gloves when you apply it! This is a spray made entirely from hot peppers. While we might like a little heat to our food, think about when you get hit with something too spicy. Your eyes start to burn, you’re in pain, and if the scoville units get high enough (the unit used to measure the heat of hot peppers) you can even kick the bucket. Now imagine you’re a mouse, just a few inches off the floor, snuffling around and minding your own business (kind of) when you stumble across a patch of burning hot “pepper spray.” With your eyes and nose so close to the ground, you’ll be extremely uncomfortable and irritated and not exactly excited to continue on with your journey. You’ll probably turn back to find another, less spicy, place to invade. 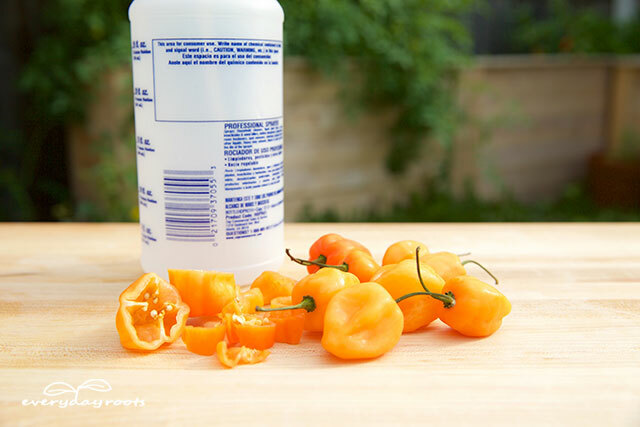 This spray uses habanero peppers, which have a scoville rating of 100,000-350,000 units, and cayenne peppers, which rate at 30,000-50,000 units. Compare this to the 1,000-4,000 units of a jalapeno, and it’s easy to see why this is so repugnant to rodents. Wear gloves and goggles when making and applying this powerful mixture. A surgical mask isn’t a bad idea either, as it can cause some respiratory irritation in some individuals. In a large pot, bring water to a boil. Put peppers and flakes in a food processor and blend until they are a little more roughly chopped up. You can do this by hand, but I find it less irritating to the eyes to use the food processor. Put the pepper blend into a 2 gallon bucket, and then pour the boiling water over them. Cover the mixture and allow it to sit for 24 hours. Using cheesecloth, strain out the pepper bits by pouring the mixture into another 2 gallon bucket. Fill your spray bottle and spritz around entrances and affected areas. A little goes a long way! Don’t use this on carpets as it may discolor the surface. I like to apply around the outside perimeter of my house, but if you want to apply it indoors, after a day or two wipe the old spray up with some water and reapply. Always test a small area first to make sure it doesn’t affect the color. The mixture, covered, keeps for months out of direct sunlight, so simply refill your bottle when needed. While I point blank refuse to use dryer sheets in the dryer, I do find myself turning to them at times to help with mice. It’s the lesser of two evils when it comes to poison. I actually learned of this little trick at the barn where I keep my horses. Since my barn cat happens to be incredibly lazy, I learned from another horsey friend that mice hate the smell of dryer sheets. Sure enough, after placing 1-2 in my tack locker, I was no longer finding mouse droppings or (on really bad days) mice that had decided to crawl into my stuff to die. Lay out around problem areas. Refresh when the scent is extremely faded/gone (usually once a month or so.) It’s a good idea to weight down the corners of the sheets. On the offhand chance you forget to replace them, they can be used as nesting material for the mice once the odor wears off. They can also be moved quite easily. I personally like to use them to help plug up any entrances I find that the mice are breaking into. 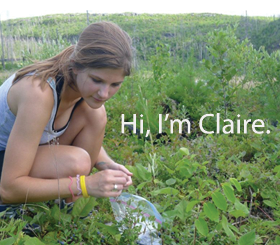 Exclusion is a huge part of solving a mouse problem. High quality steel wool is a popular item used to block entrances that mice use to get in and out of your house, and it can work quite well. However, you usually need to use a caulking compound to ensure the mice don’t pull the steel wool out of the hole, and the steel will degrade and rust over time. Copper wool, or copper wire mesh, on the other hand, won’t rust or degrade, and is woven finely to make it that much harder to chew through or pull out. If you have a deep crack, you can tightly stuff several layers of the copper into it which is usually sufficient to hold it in. If you have a shallower space you need to fill, or particularly stubborn mice that find a way to yank it out, you may want to look at a chemical/toxin free caulk or sealant. I won’t go into detail on those products right now since that has enough information to be a post unto itself! Roll up the copper into thin wads and stuff firmly into cracks/holes/any entrances being used by the mice. Use a stick to really jam it in there, and use as many layers as you can without making it loose or sloppy. After installing, you can also spray with a little bit of hot pepper spray for extra deterrent. I will be the first to point out that this is not the route you want to take if you have a serious infestation. If you have a couple of mice, however, that you want to keep from setting up a permanent residence, humane traps are good way to relocate them. There are several types of traps out there that have multiple chambers, so you aren’t stuck catching one mouse at a time. Humane traps are a good way to improve your situation without dealing with the guilt and disgust that often times comes with regular traps. Follow the Directions on the back of the trap, as each one is different. 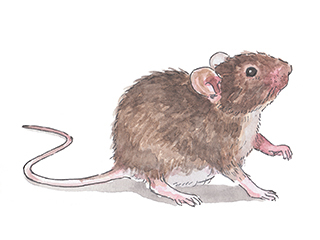 Some ensure humans to avoid contact with the mice by means of a bait trigger. For example, a cracker is set in a holder in the cage. You put said cage far away, and when the mouse chews through the cracker, the door opens. You can then collect the now empty cage. Cloves elicit memories of warm holidays and cozy nights by the fire for us, but for some mice, they find the smell distasteful and overwhelming. It seems slightly counterintuitive that a smell that reminds us of holiday baking would be so unappealing to a mouse, but the strong essential oil in cloves encourages is irritating to them. 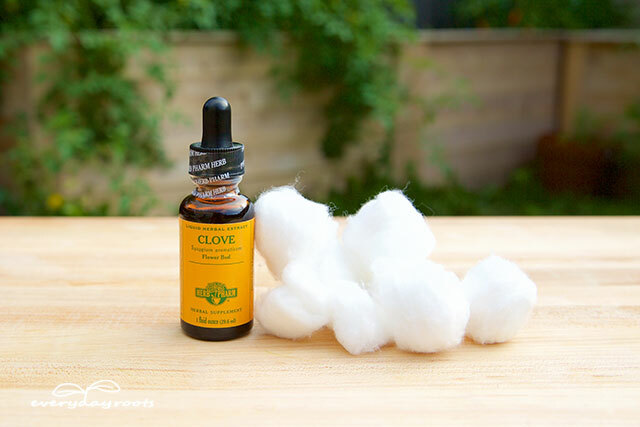 You can use whole cloves, or clove essential oil on cotton balls. I prefer the essential oil as it is more powerful than the latter. Apply in the same way as the peppermint oil. Put 20-30 drops onto a cotton ball and place strategically around the house. Be sure you don’t have any pets wandering around that would gulp it down. If you’re using whole cloves, wrap them in an old piece of cotton t shirt and use in place of the cotton balls. If you know where the mice are breaking in, wad up some foil and firmly jam it in the hole. Have you ever bitten a piece of aluminum foil? It gives me goose bumps just thinking about the sensation. I don’t know if mice don’t like the taste or feel, or if it just strikes them as too unnatural to penetrate, but I’ve had great success with this simple way to keep the mice at bay. This is a good first step to try before moving up to the copper wire solution above. 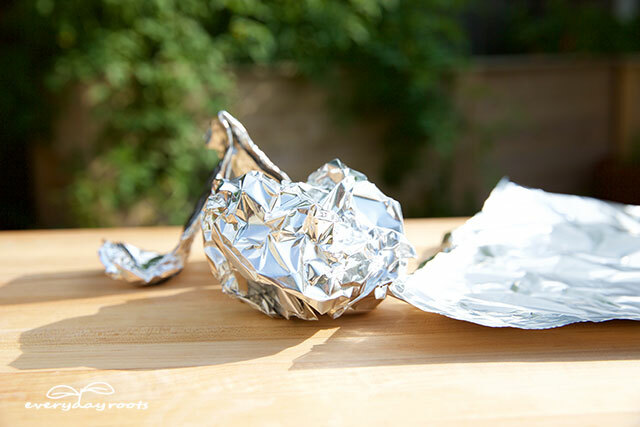 Cover the surface where you’re finding mouse droppings with the foil. Of course you can’t cover your whole house, but if you’re finding them on the countertops, for example, cover those with the foil. 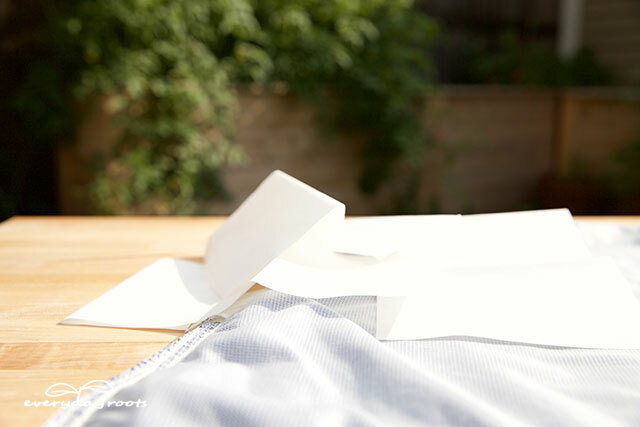 Lay the foil at night right before bedtime, and fold up in the morning. You can re-use it, but I recommend against it, on the off-hand chance that a mouse did track its little mitts all over it! One year was staying up at somebody’s cabin and they were dealing with a mouse problem. They chose to use poison to get rid of the critters, and had laid out several trays of the stuff. For this particular trip, my sister had gotten an extremely fancy pair of new hiking boots that she had been dying to try out on the trails up there. The morning after the poison had been laid, I woke up to my sister yelling in dismay and upon Running downstairs, I discovered her fuming over her new boots-each of which had been filled with little piles of poison. None of the other pairs of shoes were affected-only her cherished new boots. A few mornings later, after we’d gone blueberry picking, I woke up early to make my blueberry muffins that (not to toot my horn or anything) everyone had been looking forward to. 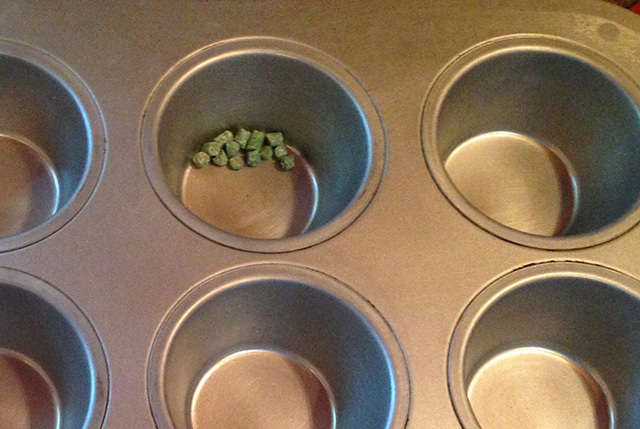 I pull out the muffin tins and lo and behold, the mice had stashed poison in the little cups. Perfect timing! We are in process of buying a home that I know has been taken over with mice and other desert creatures. I will be trying anything I can to discourage them from being neighbors. Great article. Another great way to get rid of mice, or at least halt their progress. As we ask know, mice are incredibly fast when it comes ti reproduction. We also know that mice as well as any other rodent are very fond of any sort of nuts. That includes peanut butter. So, simply put some peanut butter in the blender, mix in a couple of the plan B bills, the ones that keep people from getting pregnant, and there you go. It’s harmless ti, I mean nothing will get sick or die from it. This works: place an open cup of clean, clumping kitty litter in cabinets and other dark, hidden spots. No more mice. No killing. I like to add peppermint oil to ammonia. Put the solution in a spray bottle with a long range squirt nozzle. It is easy to spray cracks in a ceiling or along closet walls. Over time the mouse population dwindles to nothing. Refresh about once a week. MIX EQUAL AMOUNT OF BORAX WITH SYRUP. STIR, PULL A LITTLE ON CARDBOARD PIECES AND PUT IN VARIOUS PLACES. I read where lemon essential oil will deter spiders as they supposedly taste with their legs and don’t like it. Good luck. I love your information. Just like my favorite herbalist, Dr. Dian Dincin Buchman, when I try your recipes, they work exactly as you say they will. I’ve come to trust you and I don’t do that lightly. Thank you for sharing your knowledge. I had a small interior bathroom I found droppings in – I put a nite-lite in there & kept it on 24/7 – No more droppings – I guess mice do NOT like lit-up places (??) – they only want to “work” in the dark???? Great suggestion! It makes sense that they wouldn’t like going into plain sight. Definitely worth a try. A cat works just fine. It deters mice completely. I also learned that by placing used cat litter in an area where mice are they leave. The reason is because mice can smell it. It warns them that a preditor is present. 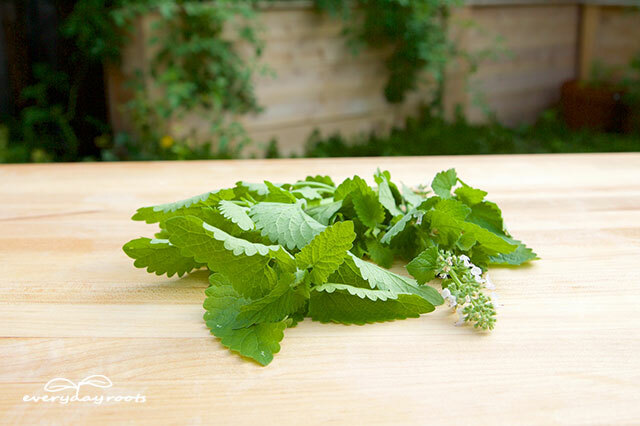 I prefer the peppermint oil mixture because it works with almost every pest including insects. I don’t kill anything except insects. We lived on a ranch for 30 years A cat in the out- buildings kept the mouse population down. There was always enough mice to feed the cat and when she had kittens, she taught them how to catch mice. If you have mice in your house, put a litter box and a cat in the house, It won’t take long to clean the mice out. This type of cat is a “barn cat” and must not be de-clawed. HELP!!! I am trying to grow a few veggies and flowers on my deck. The rats are trying to devour everything. I have hardware cloth around some of the pots, but can’t put it everywhere. I also have electronic traps and I do catch them, but I think the whole family comes and I get one. What can I do to keep them away from the deck? Well, I have tried everything except the pepper spray and the oil of Cloves. I guess they worked somewhat but my problem isn’t in my house it is in my RV. We live in Canada and on an acreage. In the fall and spring those pesky little mice seem to think that because we are not using the RV they can move in and squat. I’m not impressed. I do have one more thing that you didn’t mention, IRISH SPRING SOAP. Just place the bars of soap around the area. They eat the soap and get an upset stomach and supposedly leave to go on to a bigger and better place. I could use more hints and will try them all. Thanks for the great tips :-). I have a little infestation problem going on with mice nesting in my potting shed WHERE MY CATS LIVE! Obviously the kitties have lost their desire to hunt as this is the first year I’ve had this problem. The mice are eating and drinking from the cats bowl (though one mouse fell in and drowned). I even found a stock pile of cat food a mama mouse had moved closer to her nest. I don’t know why the cats are letting the mice share their space, food and water, but they are. Do you think picking up the cat food and water bowls at night (I live next to a stream which this kitties can drink from if they get thirsty) will help deter the mice from nesting in my shed and/or inspire the cats to take up hunting again? Thanks!! I had a small hole on my back porch, so I wadded up some foil and poked it in the hole and no more mice on my back porch. They will no chew through the foil. 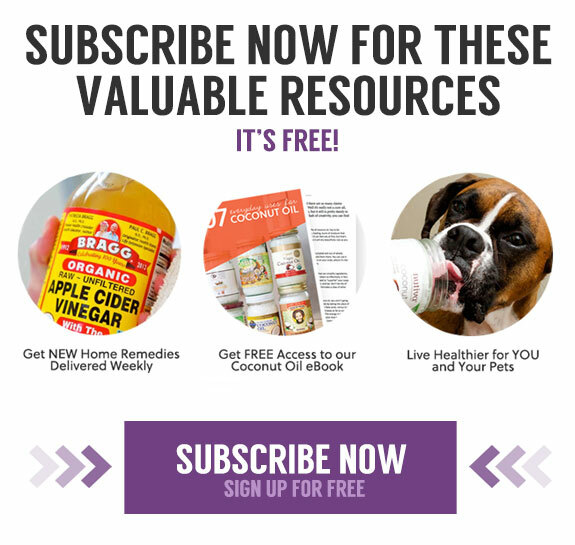 Will these remedies work for Chipmunks? I haven’t had a chipmunk problem (thankfully) to use them on so i can’t speak from experience, but you could certainly try. Best of luck!